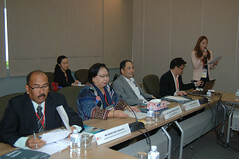 In the 13th AUNILO Meeting, we will discuss about library activities that support ASEAN’s digital economy strategy e.g. lifelong learning space, digital literacy, digital library, digital creation and preservation, open educational resources (OER), massive open online courses (MOOCs), social media applications, intellectual property and copyright issues, digital skill development, library as a place for incubating community innovation and entrepreneurship and other related matters. In conjunction with the Meeting, AUNILO Training the Trainers Workshop will be held from 10 – 11 August 2017 on “Creating a MOOC for Library Instruction using edX Platform”. 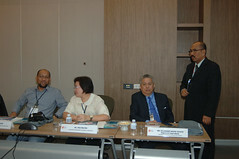 The purpose of this workshop is to enhance the efficacy of ASEAN university libraries and increase our library roles in the digital economy era. Looking forward to see you in Bangkok. On behalf of Mahidol University Library and Knowledge Center, I am very pleased to welcome all of AUNILO member libraries in the 13th AUNILO Meeting. Please take a look for more information from our website at http://www.li.mahidol.ac.th/AUNILO2017.